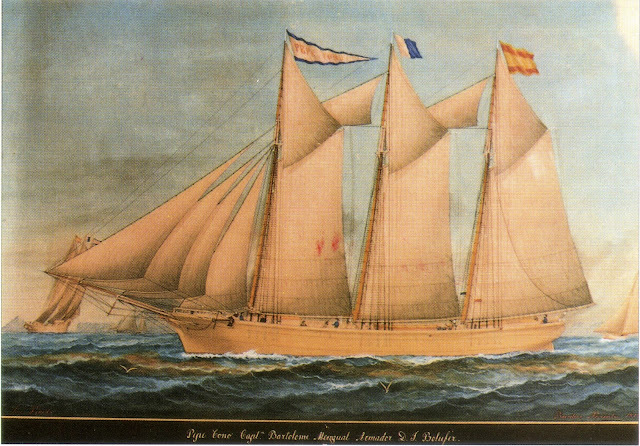 Versions of this story have circulated around Jávea since 1905. It wasn't until April 2016 when the Denia-based journalist and historian Antoni Reig began to shed the light on the truth on this terrible tale by publishing a book about historical crimes collected from old newspapers. His findings were published in his award-winning collection of essays, Històries de Crims i Criminals of the Marina Alta (Crime and Criminal Stories of the Marina Alta). He managed to find a criminal report dated August 26th, 1905 about the event which took place in the Aduanas del Mar region of the Grava beach where there were several large homes built by wealthy local families. The report states that the events developed between six or seven in the morning and that it turned into a "bloody and vulgar drama" that filled the neighbourhood with "dismay" because they were unaccustomed to witnessing such horrible events. 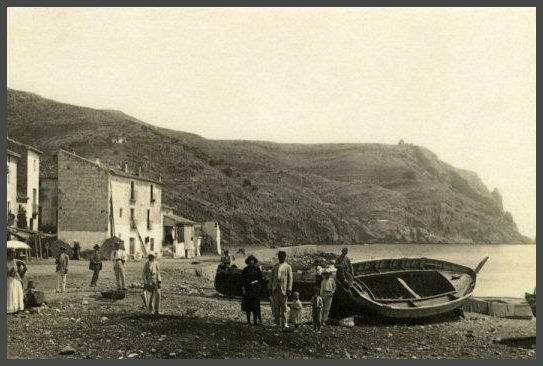 Aduanas del Mar y playa de la Grava, Xàbia hacia 1920. 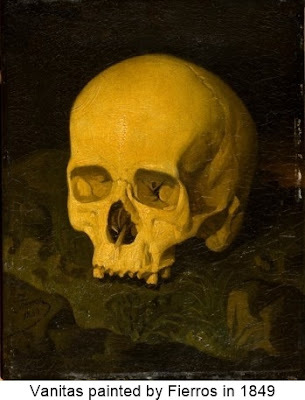 August 21st is the day to which this account has its origin. 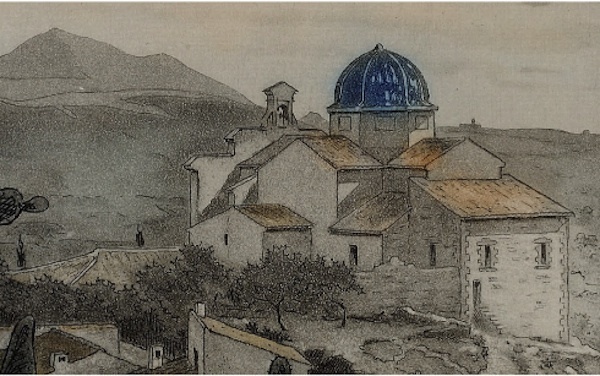 The reporter spins the tale by stating that it involved a servant girl by the name of Ramona Sánchez, from Madrid, aged 23, who had been working for the Sorolla family for a year. 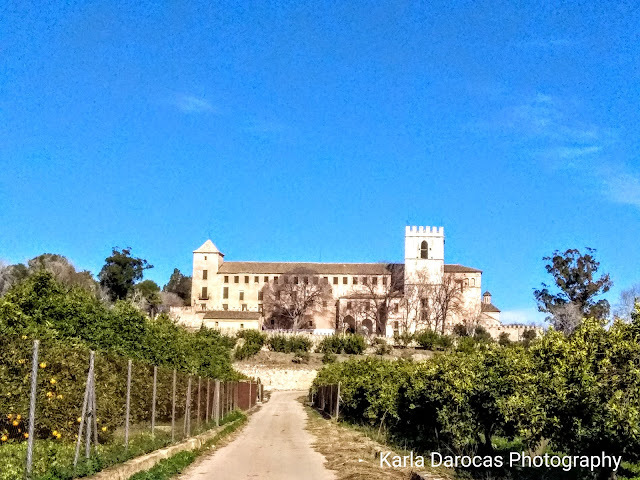 The girl had established a relationship with a civil guard in Murcia by the name of Bartolomé Güeras, who was widowed and had three children. According to the reporter about their relationship, he states that the "relations had in a short time reached a degree of dangerous intimacy" probably because it had fostered a passion that Ramona did not return. 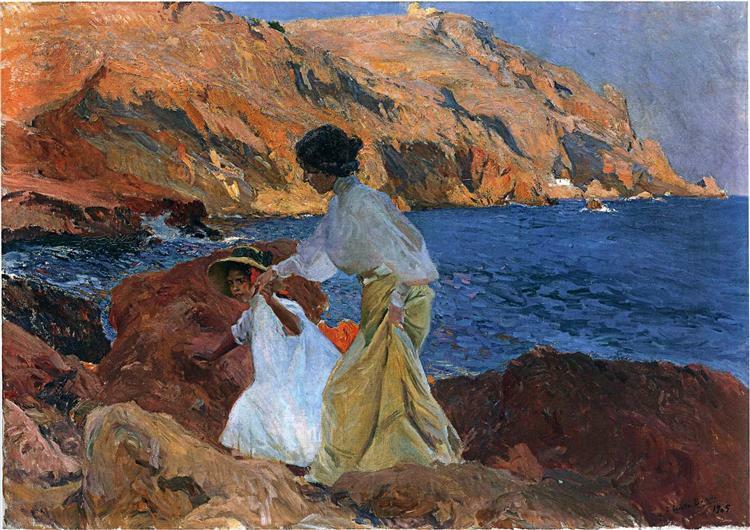 The reporter continues to explain that during the Sorolla family stay in Jávea, Ramona had received letters from her suitor, but never bothered to answer them. The boyfriend took it upon himself to travel to Jávea and confront Ramona and demand an explanation. Bartolomé searched for her and finally found Ramona with another maid named Asunción at the community laundry. 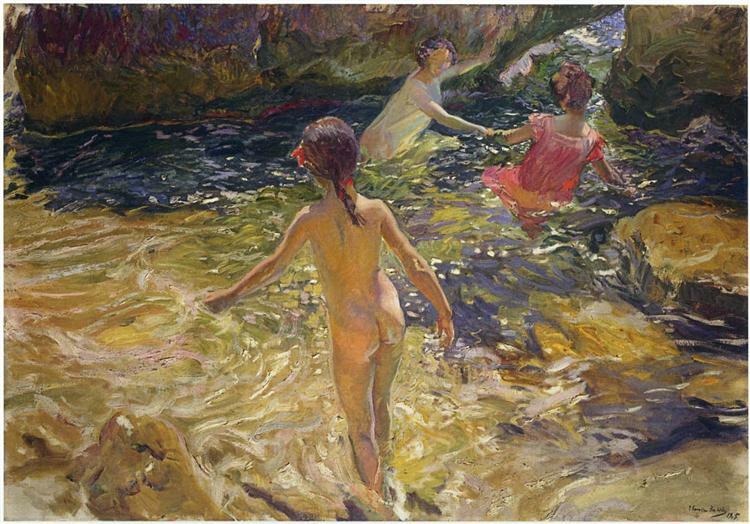 He stayed with the two girls while they did their washing and when finished, he escorted them to the door of the holiday residence of the Sorolla family. According to Asunción, who I suspect was an interviewed witness, Bartolomé talked with Ramona in a "low voice" and she would answer him "coldly". It was at the door of the residence, that Bartolomé grabbed Ramona's arm and held on tight as she fought to escape his clutch. He reached for a gun. There is no reference as to what type of gun, but since he was described as a "Carabinero", which is a member of the civil guard who carries a bolt-action rifle, I can only assume that this was the type of gun he grabbed? The distressed boyfriend shot Ramona in the back and then in one quick move, aimed the gun at his head and pulled the trigger. I found another brief newspaper report in the ABC newspaper dated the 24th of August, 1905. 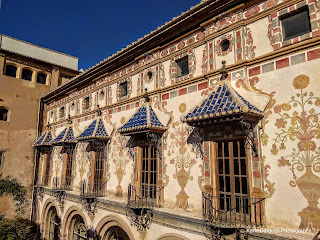 It says, "In the house where the painter Sorolla lives in Jávea, Bartolomé Güeras fired a shot at the servant Ramona Sánchez, with whom he held a romantic relationship. The girl was seriously injured. The aggressor committed suicide." The family was freaked out, to say the least. They managed to put the incident behind them and continue their holiday and Sorolla his work, but Sorolla did write to his friend Pedro Gil on August 30th, 1905 with some details of this frightful event. In the letter Sorolla explains to his friend that he was sorry for not writing for awhile but that over the past week or so, he had been so sick that he could "barley move". He says, "It took me a long time to write to you because unfortunately I had to suffer about three days in bed, due to my discomfort, but thank God everything went well, but when I was going to get out of bed, a bloody drama occurred whose sad event unset me and Clotilde who was quite affected. It would be 7 in the morning, while we were all still in bed, we heard three shots, shouts, running, and, since I could not get out of bed, Clotilde did and managed to witness a horrible scene. Our cook had a boyfriend in Madrid, he was a civil guard and he showed up in Jávea and he tried to kill her, wounding her alone and killing himself later." 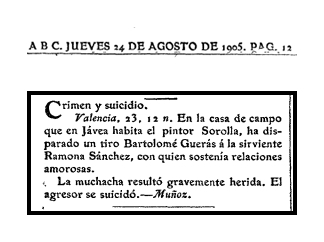 So, here the accounts by Sorolla are pretty much the same as the newspaper report, except that Sorolla thinks that the boyfriend was from Madrid not Murcia as reported. The story of this cruel act of passion and suicide begs the question: Why? The gossip around Jávea for many years was that the maid must have been in a love affair with the famous, yet aging, Sorolla. Was this imagined love triangle the reason that the daring civil guard had produced a jealous mind? To anyone of the era who had read the report in the Alicante newspaper might have drawn the same conclusion as it was reported that Ramona, the maid, was a beauty. He reports that "She is a woman of regular height, dark, big eyes, and a sweet look". 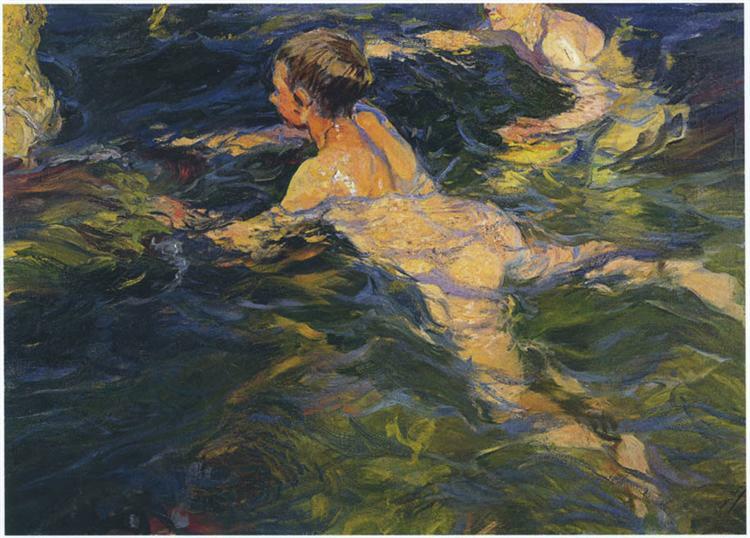 Of course, the Sorolla's family denied the gossip. Further research concluded that there were no hard clues to this illicit romantic affair in any of Sorolla's letters or even in his account to the reporter. In a letter to his good friend Gil Moreno, for whom he shared a deep intimate personal relationship, it is impossible to suspect that he hid any secrets from him. Gil Moreno's friendship with Sorolla was such a trusting one, that often Sorolla would ask Moreno to sign paintings that he had forgotten. 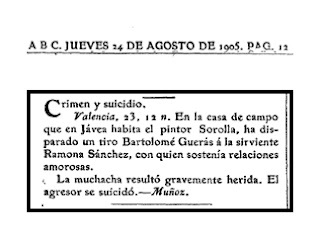 In the testimony to the reporter, Sorolla talks about the tragedy without any noticeable emotion, even though the event occurred on his doorstep. 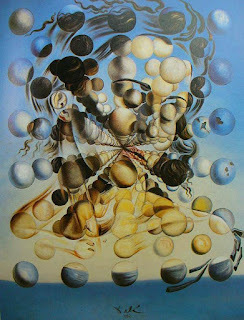 He does not suffer any intimate pain about the circumstances and waves it off as an illogical act of humanity. He does not even know the maid Ramona's name and only refers to her as "the cook" and he certainly never highlights her beauty. Again, the rumours and local gossip remarks how Sorolla was so upset by the death of the maid, that he never returned to Jávea ever again. This is also not the truth! 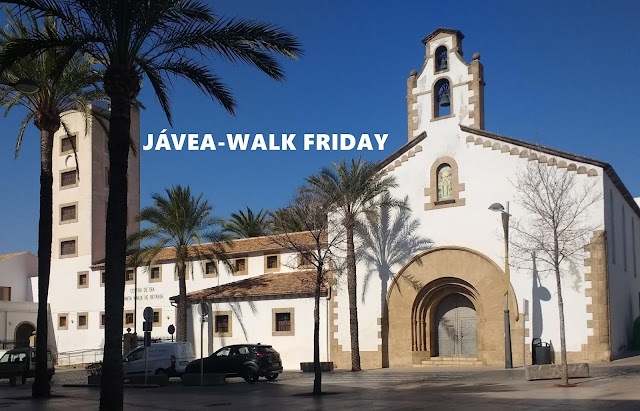 In January 1919, he returns to Jávea and writes his wife a letter whereby he recounts actually visiting the holiday rental. He say, "Imagine my surprise to find myself in the place where good and bad times we spent. It left me sad as we went through the crime house and remembered the scare." He doesn't lament on the house of horror but instead remembers the good times. He say, "We went through the place where I painted such beautiful things with you and my beloved Elena. What color, what beauty! The sea was calm and all the yellows and oranges were reflected and it seemed that we traveled on a sea of ​​gold to red ."